Good afternoon. I am not involved in politics at all. I am just a scientist. And I’m going to tell you a very strange story, but a true story that happened to me almost 15 years ago. We all know these figures: 1.1 billion people don’t have access to clean water today, and 5.3 billion people, two-thirds of the world’s population, will be living in an area of severe water stress by 2050. You have heard of climate change; is that something new? We can feel it very seriously today. All the water tables in the world are regressing, going lower and lower, and we have a fantastically growing population. So climate change and a growing population means rising water demand and shrinking existing water supply. This figure is something that humanity has never experienced before. 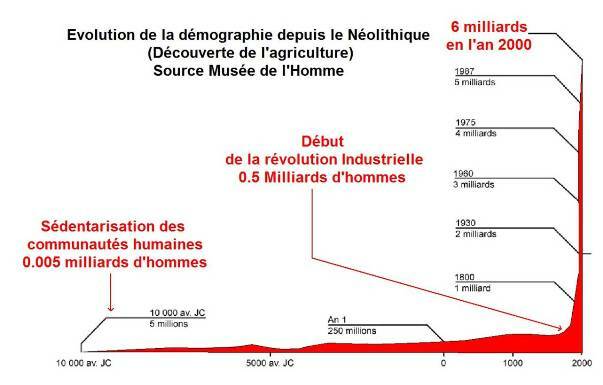 During the beginning of humanity, there were roughly 5 million persons 10,000 years before Christ, growing, after the invention of agriculture, to 250 million people, around Jesus Christ’s period. Then, suddenly, just at the end of the 19th Century, we had a sharp rise which has no precedent in the history of mankind. How are we going to deal with that? This is typically the kind of paradox induced by the change of paradigm that contributed to the Schiller Institute’s notoriety. First of all, we have to realize that the key to human evolution is to convert difficulties into opportunities. We are extremely fortunate because, according to the computation of NASA since they began observing the Earth by satellite over the past 30 years, they’ve understood that all the water consumed by human beings until now is this little bubble. It means humanity has been developing by mainly using the resources of lakes and rivers (93,113 km3, or 3 % of total), while the real bulk of fresh water is below the surface of the Earth, is underground (10,530,000 km3 or 97 % of total). And it is 33 times bigger, than all the water quantities we have consumed up to now. So that’s a great good fortune for the future of humanity. This is water for the future. But where and how to find it, that remains the challenge. In fact, I am from the oil industry. I have nothing to do with water. You know, water is not quoted on the stock market; water has no value, except when you die of thirst… but then, it’s too late! So, in 2002 I was working for an oil exploration project for Shell in the desert of Libya, when I discovered – here you see the desert of Libya — while looking at a radar image taken from an altitude of 800 km, a big water leakage coming from a big pipeline, more precisely from the Great Man-Made River created by Qaddafi several years ago. So, in a sense, it was a pure accident, in my oil exploration program, that I discovered this image. Technically, one has to know that radar is mainly sensitive and visualizes two effects at the same time: surface roughness, i.e. rocks, boulders, all houses and metallic pieces such as rooftops and so on — and soil moisture. But this second image in black and white, contrary to the other one, in color, suddenly revealed, by accident, part of the underground water systems. To do that, I had to find a way to get rid of the signals giving the details of the surface and privilege uniquely those pinpointing underground soil moisture. That was a real challenge. It meant combining images from space, geophysics, geology, and whatever we know from the Earth, and first eliminating the roughness effect by a special mathematical algorithm, just to maintain the response of humidity here, leading to an aquifer which is deeper. This took me two years of intensive work, and when the algorithm had been invented, a few weeks later, the Darfur crisis broke out, in February 2004. So I was called by the UNHCR in Geneva, because they knew about the work I was doing, and they told me, “Alain, we have something like 250,000 people fleeing Sudan, and we tried to put them in camps; we spent millions of dollars to truck water to these refugees. Can you help us find water?” I said, “I don’t know. I have no experience in humanitarian aid; I just now invented a system to detect water, but in this context, there’s no time to lose. Let’s try”. And here I was, brutally thrown from my desk to the fieldwork. So this is a radar image that everybody can have, of all Sudan; this is Darfur. Look at the scale here, it’s a big area, 400 km by almost 400 km here, so it’s 160,000 square km. We have 3 million displaced persons in camps, what can we do to help them? The system allowed me to jump from this image, to this image. Now, we can see 20 meters underground, with this special filtering algorithm, and we see a broad network of underground rivers, and if they’re bright, it means that water is there; moisture is there, moisture indicates a big water system working underground. So, we cannot let these people die of thirst, when we see such beautiful things. But now we have to prove it on the ground. And when you land on the ground, you completely change your life. You become a refugee yourself. There is no protection, you’re exposed to all kinds of threats. It’s a completely different atmosphere, I would say. And of course, you are exposed to dangers, permanently exposed to dangers. I was protected by the UN peacekeeping forces, and for only one guy they had to deploy a whole armada. billion U.S. dollars in transporting water. I was more and more involved in water, and especially again, in 2011. A very, very bad drought struck the Horn of Africa, affecting 33 million persons, between Ethiopia, Kenya, and Somalia. I must say, that just before, in 2007, the same drought affected the northern part of Syria, destroying the economies, destroying the cattle, destroying the crops, impoverishing the people, that trudged to the cities to try to find a solution. That was the beginning of the Arab Spring, probably linked to these phenomena. But this massive, massive drought, it was really Hell. I arrived just a few months later to map the geology of this area to try to find water. It was in this area, near South Sudan, Ethiopia, Uganda, and Kenya, what we call the Turkana area. Again, a very desperate situation, and when I was asked to try to find water there, I was desperate. Look at this image: Everything is dark, absolutely no water. The water here is brackish. Now, to find water there: You have a big refugee camp called Kakuma,with almost 200,000 persons today. First we had ensure that there was enough water for them, so I had to map the geology of this area to prove to the UN that the Kakuma refugee camp could have enough water. That’s the first case. But when I covered all of that, I discovered something much more important than the refugees of Kakuma. First, I jump from this image, which is an optical image, to the specially processed image, removing roughness, and we discover black holes. When we see black holes, it’s a good sign. It means that water is so deep. Water is coming there, and it vanished somewhere in the middle. It means it has been absorbed underground. This could offer us opportunities of finding deep water. So, using geophysics and other geological data, we were able to convert this image, into this one: you see five big target areas. Just targets, it’s a concept. Using this technology we derived a concept. This target area [Lotikipi] is half the size of Belgium. Never drilled, never drilled! 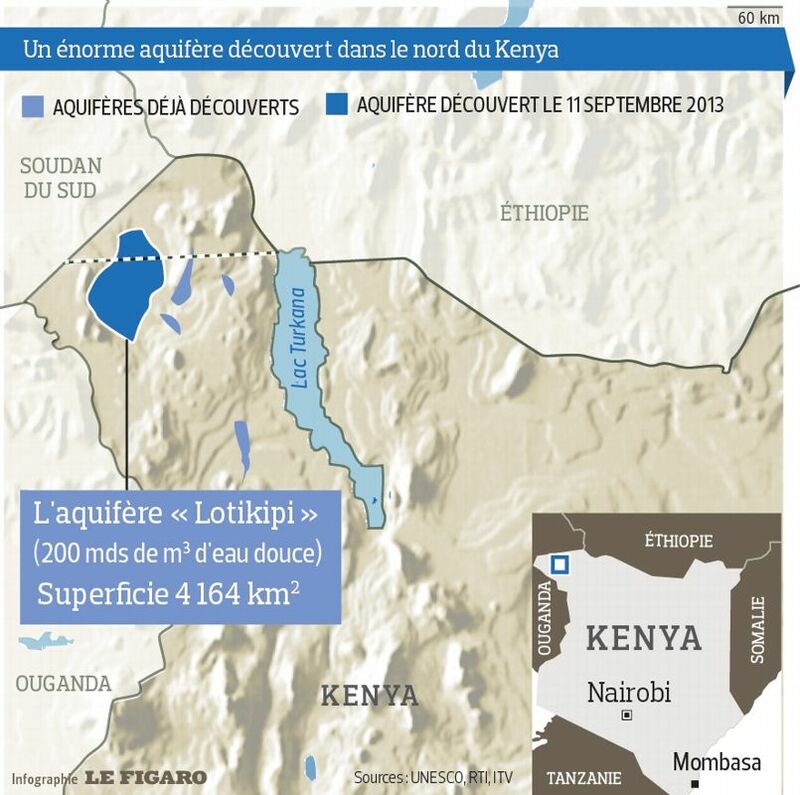 And near Lodwar, the capital of Turkana, there is probably something like 10 billion cubic meters. And here again [in Lotikipi], there are 200 billion cubic meters, twice the size of Lac Leman in Geneva. Never drilled! It looks like this, you see, very much like a desert. And when I asked to drill there, the UN told me “Alain, you are crazy.” I told them, “Yes, I may be crazy, but if we find water it will completely change the game in the area.” So we have to go ahead. Surprise, the cost would be the price of digging one well, down to 400 meters, this is deep water. And I had some echographies from oil companies; the fact that I had been working in oil was very helpful. From these seismic cross-sections, combined with the black holes of the radar image, I had the conviction that there was the potential to store underground water there. And I found the water! It was there! 200 billion cubic meters of freshwater were waiting for us. These women had to walk 40 km every day to feed their cattle, to feed their kids. And brackish water! Now, under these immensities, where I was called a crazy guy to drill, there is serious, very important potential. Now, let’s go to Lodwar, the capital of Turkana, hosting 10,000 persons. It was the capital of poverty, the capital of dirt, where women were scavenging in trash at the town entrance to find food to feed their kids! I discovered this big structure, a black hole, only 5 km from town! Nobody had the idea to shift, and to drill there down to 100 or 200 meters! Next one: The seismic graph, again gave me a very important trough, where a lot of water could be stored, something like 10-12 billion cubic meters of freshwater, down to a depth of 200 meters only. The basin is 4 km deep, so it gives you a very, very important potential. And water was there again. These children had never seen freshwater in their life! Never! Now, we have jumped from Hell to prosperity. The women that were scavenging in the trash, now have their own lot, they can feed their children, and this water restores their dignity. They now have animals, they can feed animals, they get milk from the goats. Now they can save their families. They don’t need any kind of international assistance. The government now has to just pay enough for a well, to produce the wealth. The wealth is there, underground. And it is massive! This wealth is massive, and this water is replenishable, which is very, very important. All of that is replenishable resources. Last chapter: Iraq, the most difficult part. I started to discuss with the Iraqi authorities five years ago, during the time of [Prime Minister Nouri] Al Maliki. The water program in Iraq has been funded by the European Union under UNESCO leadership, and operated by my company. So, we decided to cover all Iraq. It’s not a small part, like Turkana. Now, all of Iraq, I must say, was a big piece to swallow. A lot of pixels: You know, each pixel covering Iraq is 6.5 meters, so we have an extremely high resolution of all of Iraq. As I told you, radar is very sensitive to surface roughness. Here is the roughness of the rooftops of Baghdad, Mosul, Irbil, Sulaymaniyah, Anbar, Rutbah; and here, you see here the Euphrates, the Tigris — it’s a mixture of roughness and moisture. Now, let us remove the roughness, just to see what the state of moisture of all Iraq is. Here we are: It’s a kind of image that you have never seen before; it’s completely new. It means that now, you see the moisture, the soil moisture content of all of Iraq, down to 20 meters. There are many consequences: first, the immediate one: if you want to plant trees, if you want to restore vegetation, never go in the black areas! Because the black means the water is deeper than 20 meters, so the roots of the tree will never reach any water — unless you feed them. You see the Tigris and Euphrates, they look ridiculous. They look ridiculous, because the dams in Turkey have cut off the water supply! But look at that: Kurdistan. And we could extend it to Syria! I don’t have the budget to do that, but imagine what you have in Syria. Imagine that! are still trying to understand where this humidity comes from, because it doesn’t come from rivers; rivers have never flowed here. It comes from underground, very deep underground. Now, from this image, we have all the keys for the future reconstruction of Iraq. I speak only of Iraq, because I just studied Iraq; but you know, imagine the consequences for the rest of the region. Because this land, I come back here, just focus here around Sinjar [Iraq], near Syria. Huge plains, beautiful land, good soil. They can grow wheat, but the fields are abandoned because of the war, the silos empty; that has to be restored. We can put an end to the end of the world. This is the town of Sinjar; 300,000 persons live there. Completely destroyed! For me, there are no desperate situations, without solutions. We must always remember that in life, you don’t have problems, you have questions and answers. This new vision of the world reveals unknown groundwater resources. It leads decision-makers to prioritize their objectives, allows planning post-conflict reconstruction, quick and accurate action of great efficiency. The accuracy of these images is the size of the pixel, 6.5 meters. We know exactly where to go. The new space technologies can change the groundwater geopolitical balance; but we should never forget that science must remain, above all, devoted to the service, and progress, of humanity.